There sure are a lot of big anniversaries this year; CIRCUS turns 10, Gundam is celebrating their 30th anniversary and Nitroplus is also turning 10 years old this year. 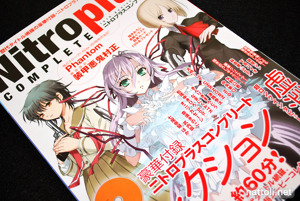 Comptiq has released a Nitroplus Complete magazine to celebrate the anniversary, containing info on all the Nitroplus games (and upcoming ones) up until this point. 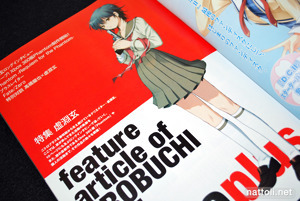 The first section of the magazine is a 10-page interview devoted to Urobuchi Gen, writer for Phantom Inferno and Requiem, Blassreiter, and Fate/Zero to name a few. Safe to say, I couldn't appreciate that bit. 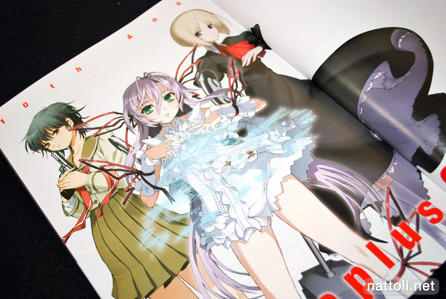 The interview is followed by more interviews for other staff on the Phantom ~Requiem for the Phantom~, interspersed with a couple of new spread illustrations, a 4-page character report file, and a 4-page episode digest. Immediately following the Phantom section are a couple pages on Blassreiter, and a couple more with images on the Fate/Zero drama CDs. The Blassreiter pages don't include anything new, but the Fate/Zero section leads into a special interview between Takashi Takeuchi (Typemoon) and Urobuchi Gen.
Now, the main reason I picked up this one-time issue is because of the artist gallery of all new illustrations celebrating Nitroplus, and I wasn't disappointed. Featured artists include Nishii, Naru Nanao, Tsuji Santa, Osaki Shinya, Chuo Higashiguchi, Matsuo Yukihiro, Yanoguchi Kimi and more. I was under the impression that they were all Nitroplus artists, but I don't know where Naru Nanao would fit into any of that. 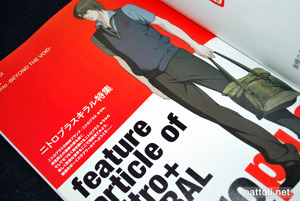 Since I bought this issue for the new illustration gallery, everything else was like a bonus. 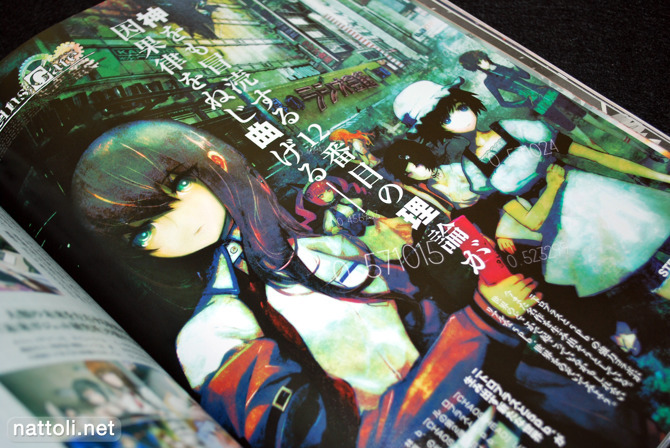 If you can read Japanese, you'll be happy to know there are new novel stories for Demobane, Sumaga, and CHAOS;HEAD. 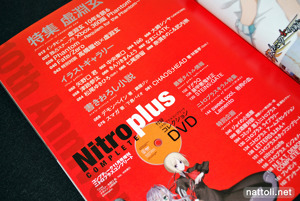 There's also a DVD that contains 60 minutes worth of commercials and clips from Nitroplus productions, even from the older stuff. 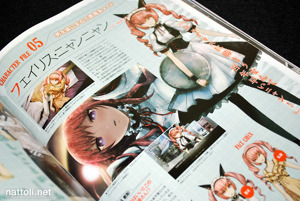 One of the other highlights of this magazine is the "Latest Game Information" section, which covers Dogura Q (ドグラＱ), Full Metal Daemon Muramasa (装甲悪鬼村正) and STEINS;GATE. 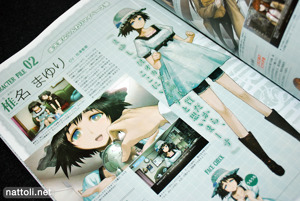 Last but not least is STEINS;GATE, with character designs by Huke. You can immediately recognize Huke's design style---although a little more moe that usual---the girls (and guys) still have their dirty, shimmering look, even for the in-game stills. 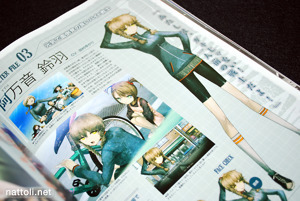 The character pages for the main heroines are great, providing the full body image, their game faces, and an in-game screen shot or two. 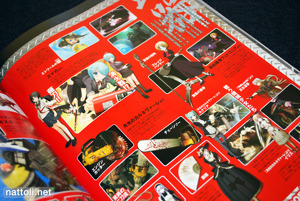 The next part of this 162-page issue includes 4-pages dedicated to the weapon details and images used by characters from games such as Angelos Armas -Tenshi no Nichou Kenju-, Phantom of Inferno, Jingai Makyō, Sumaga, and others. 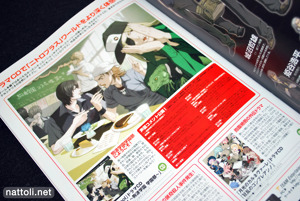 And just before I thought they wouldn't be included, the Nitro+CHiRAL boy's love games get six pages that include character designs from Sweet Pool, Togainu no Chi, and Lamento -Beyond the Void-. 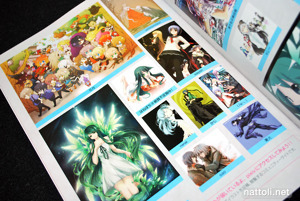 There are also a couple pages featuring Pixiv artists Nitroplus fan works. 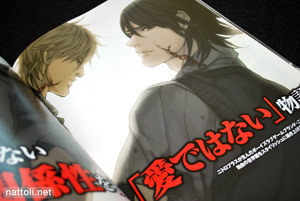 Though the issue seems to have sold out fast on Amazon Japan (well, it did come out at the end of last month) you can probably still find it second hand, or maybe even in some online import retailers. 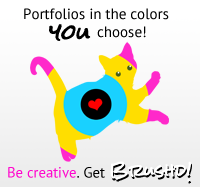 Wow, this guy has some great style, some of those backgrounds are amazing. What a tease! 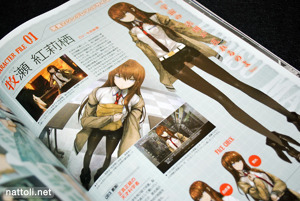 Show us this awesome artbook then show it's sold out on Amazon! I am being tortured! There's always a way to get what you want! You could always buy used on Amazon with a deputy shop, or try Yahoo Auctions. 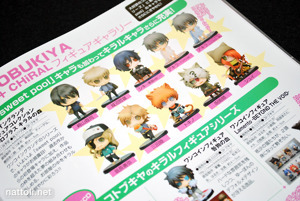 And of course, check around with the online import shops, they usually get a few copies. 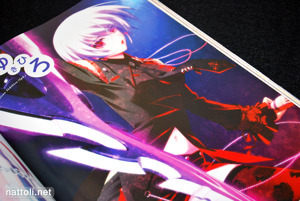 Any chance you will be reviewing the Blassreiter artbook or fanbook? Hmmm... I should do u have it or will u be getting it? I'm big fan of the Blassreiter series and I'm wanting to see a review before I consider making an over-the-counter order at Kino. Oh wow I wish I got this magaizne sooner. Its gonna be a pain to find it at a good price. I really hope you scan the demonbane ladies spread. I <3 Niθ's work. Here is the new illustration by Niθ from the fanbook. Sorry I do not have a scanner so this is the best I can do. Wow, thanks for the link! Looks like that's the Blassreiter book I'll be getting the next time I place a deputy order. Nitroplus always does better direct books than commercials ones. No problem. 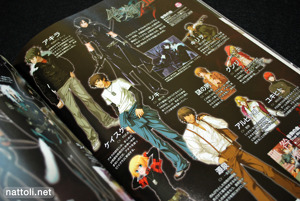 Keep in mind that its mostly concept art of all the characters. Still well worth it if your a fan of Niθ. 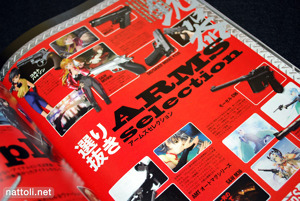 Here are some preview pics from the book that were posted on an ebay auction sometime ago. i know but for the other people its come bored.and other dont know what it is,so we need to advertice it website.